Fed up with your vinyl falling over or generally getting in the way? 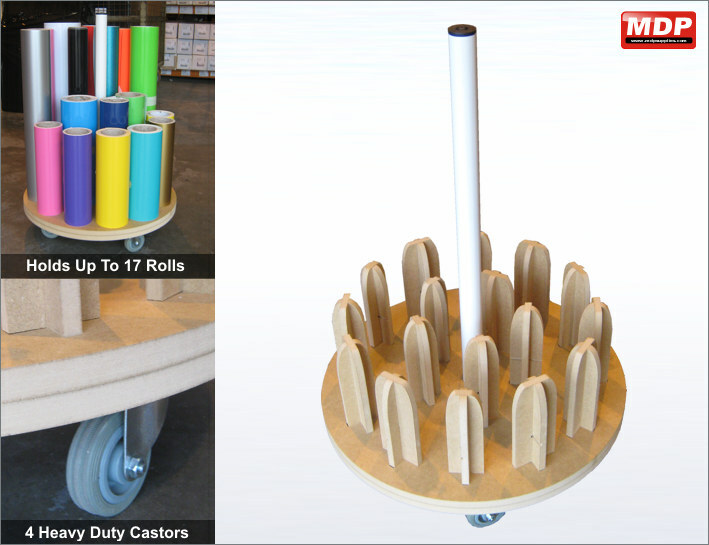 Our workshop vinyl dolly holds up to 17 rolls of vinyl and is suitable for 2.5 and 3 inch cores. Manufactured from MDF, the dolly has 4 heavy duty castors and a removable steel pillar handle for easy manoeuvring. Height inc. handle 800mm, exc. handle 135mm. 580mm diameter. Price for 1+ £59.95 ea. Keep your opened rolls of vinyl tidy and secure with these hook and loop straps. 450mm long and can be used on anything from 1m to 45m rolls on a 3 inch core. Pack of 10. Price for 1 - 4 £1.95 ea. 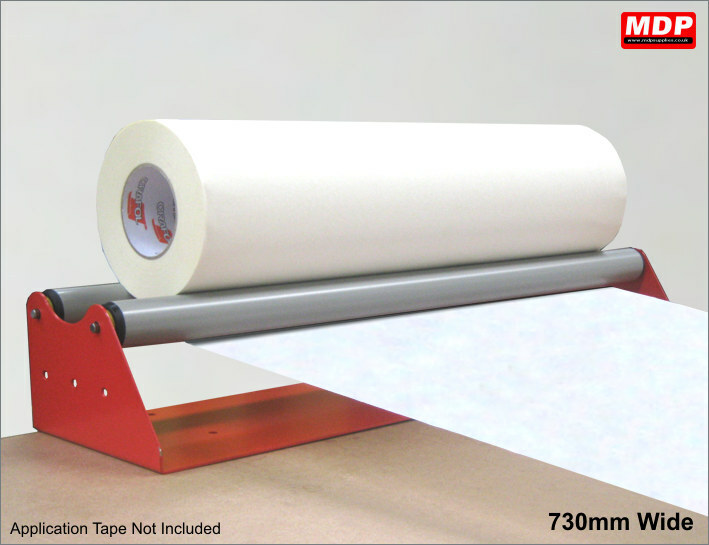 Apply application tape with this smooth action bench roller. Sturdy stainless steel bearing rollers keeps your application tape steady whilst you apply to your graphics. On the base unit you can reposition rollers for different configurations. Base unit has integral lip for positioning over the end of your bench to keep the unit in place and it also comes with holes so you can permanently attach to work bench if required. 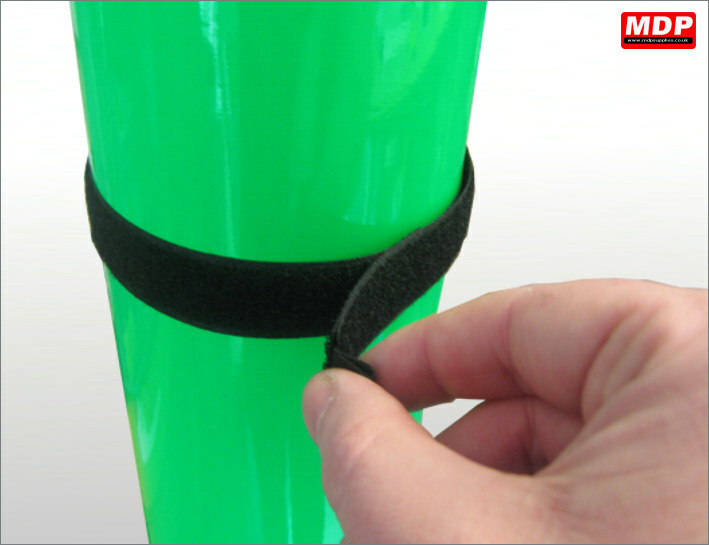 Takes application tape up to 730mm in width. 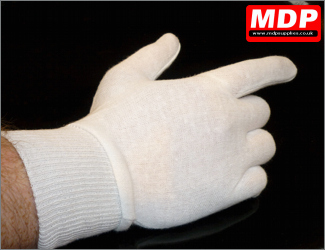 Manufactured in the UK by MDP Supplies. 10 Year Guarantee. Price for 3 - 4 £38.95 ea. Price for 5+ £37.95 ea. 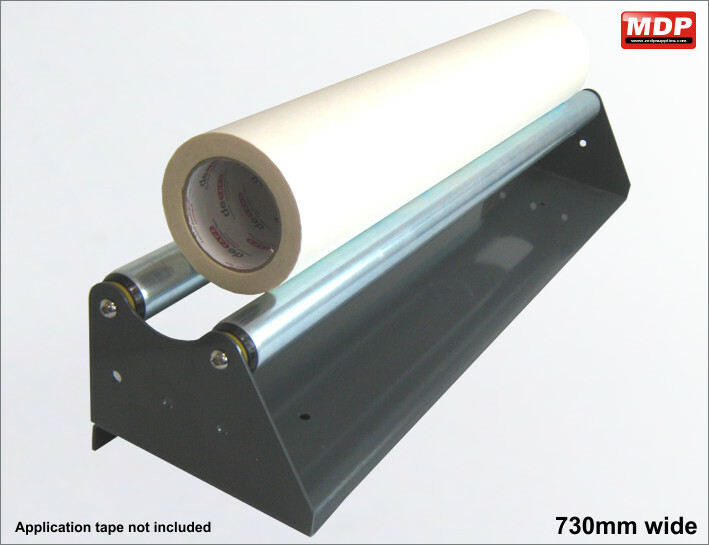 Sturdy zinc plated metal rollers keeps your application tape steady whilst you apply to your graphics. 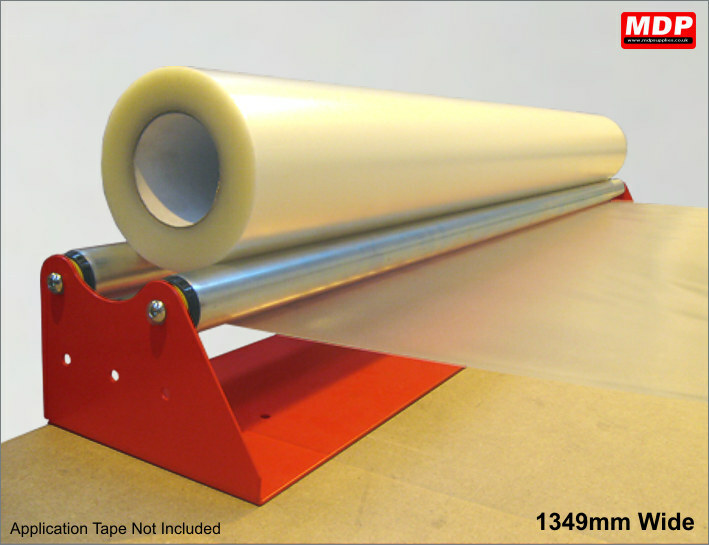 Takes application tape up to 1349mm in width. Price for 1 - 2 £79.95 ea. Price for 3 - 4 £77.95 ea. Price for 5+ £75.95 ea. Manufactured in the UK. 10 Year Guarantee. Price for 1 - 2 £44.95 ea. Price for 3 - 4 £43.95 ea. Price for 5+ £42.95 ea.